This has been a month of incredible change at Edible! We recently announced that we are opening a second headquarters in Atlanta, Georgia. This new office marks a huge step in our next phase of growth and I’m very excited to see how this helps Edible grow. While we will continue to call Connecticut home, having a presence in Atlanta gives Edible a centrally located office, access to major transportation hubs, and allows us to tap into a thriving and tech-savvy workforce. As we prepare to open the Atlanta office, we are also introducing new products like Edible Treats that feature smoothies, dipped fruits, and other grab and go items. Additionally, we’re testing new delivery options to make shopping easier than ever for our guests. While these exciting new ventures allow Edible to continue developing, at the heart of our business are our franchisees. I am incredibly grateful for their hard work and dedication to building our brand as together we discover new ways to WOW. 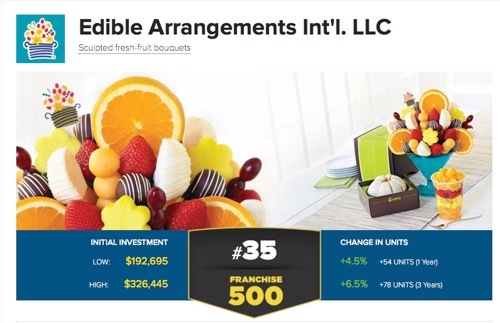 As I have said many times, I could never have imagined that my small shop in Connecticut, where everyone told me that no one would buy fruit bouquets, would grow into a global company, especially one with two world-class headquarters. I’m excited about what the future holds for Edible, our dedicated and passionate team, and our wonderful franchisees.